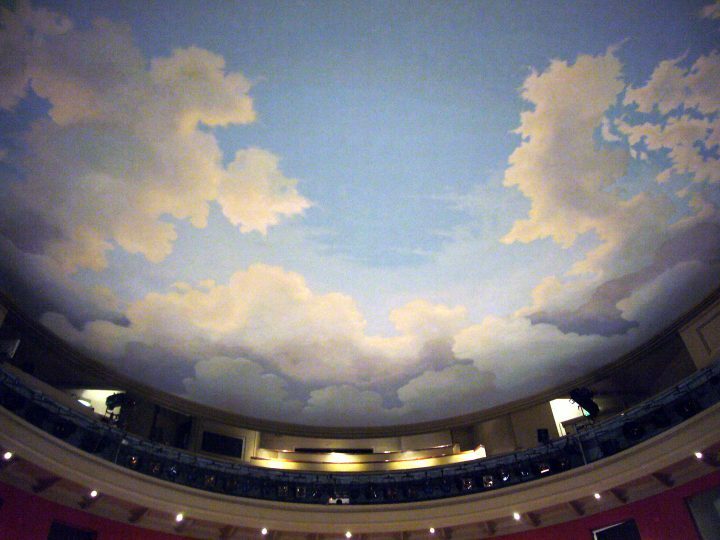 In September we had the privilege to work with Melford Hall of Long Melford in Suffolk. 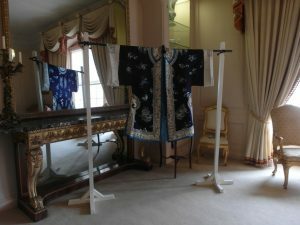 The National Trust House Team commissioned us to mount three examples of Chinese silk costumery, which were on loan to Melford Hall, at their 2017 Heritage Day. 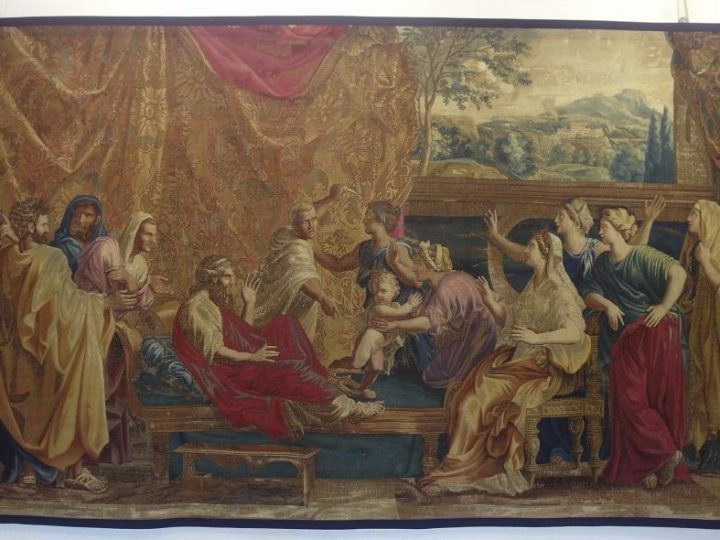 These exquisite items were to be exhibited in the Boudoir, for one day, and one day only! 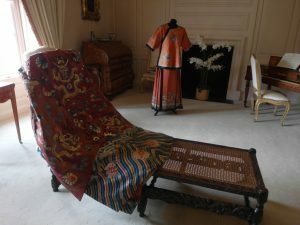 A gorgeous costume jacket and skirt were mounted on a dress dummie, whilst a large Chinese robe was draped on an oriental-style daybed. 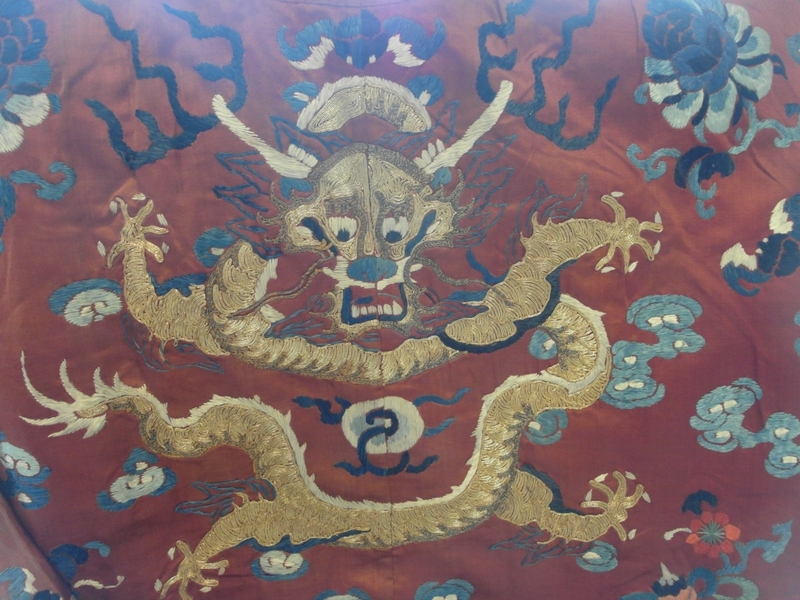 A closer detailed view of the dragon found on the large Chinese robe above. 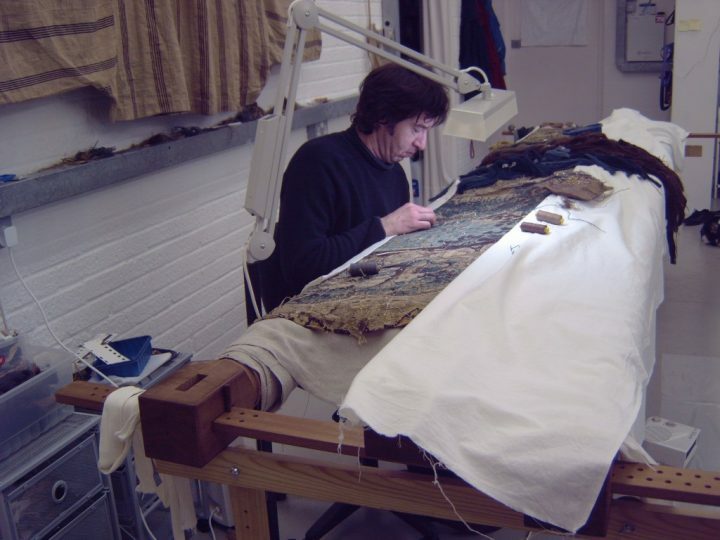 A beautiful blue embroidered robe was positioned in front of a mirror, enabling a view of both sides. 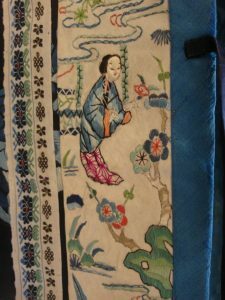 Showing the detailed embroidery of the blue silk robe.